Donations were down by about 40 percent in the 2017 Combined Federal Campaign season, but as this year’s season kicks off, charities are hoping to see big improvements over last year’s results. Charities serving the military and veteran communities suffered an overall drop of about 50 percent in donations, according to Patrick Maguire, whose Maguire/Maguire firm provides support services for 23 independent charitable federations. Two of those federations — Military Family and Veterans Service Organizations of America and Military Support Groups of America — combine to represent more than 130 charities that took part in last year’s campaign, from the Fisher House Foundation to the Semper Fi Fund to the Tragedy Assistance Program for Survivors, better known as TAPS. All the federations had similar “miserable” results, Maguire said. He noted that half the country didn’t actually stage a CFC fundraising campaign in 2017. However, “things are looking way better now in 2018,” he said. This year, “the CFC is all about online — internet and social media,” and his firm has provided marketing materials to help charities in that effort. This year’s campaign season for the CFC began on Sept. 10 and runs through Jan. 11. The 36 CFC zones run their campaigns at various times within that period. It’s the only workplace solicitation allowed for federal, military and postal employees. 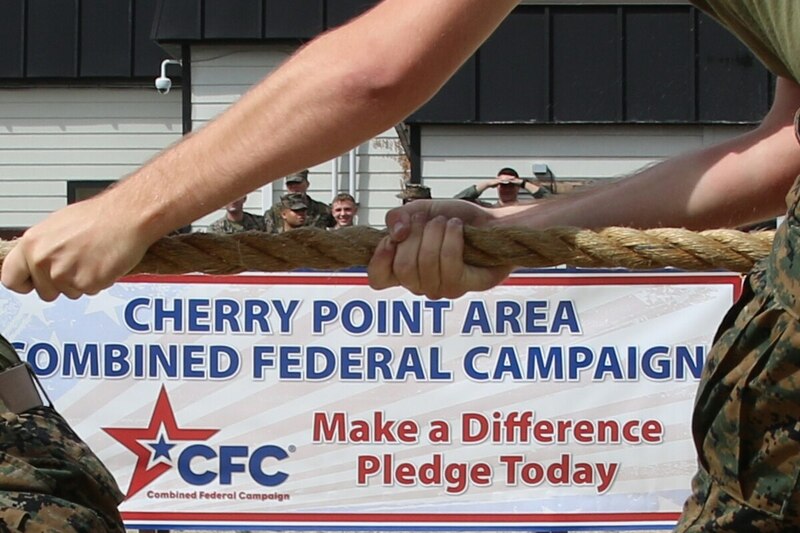 While many of the military charities receive donations through other means outside the CFC, that federal campaign is an important chunk of their funding. Overall, fewer charities participated in 2017, the first year of a revamped CFC, than previously. Hurricanes had an impact on a number of areas. There were also hiccups such as a delay in launching the new online giving portal, the CFC Online Donation System, which gives all personnel access to one electronic giving platform to support all the charities in all the zones. Officials have taken recommendations from employees to make changes this year in the online portal. For the second year, employees will also be able to pledge volunteer time for charities as well as monetary donations. Last year, federal and military employees pledged more than 125,000 hours valued at more than $3 million. Officials said these pledges combined with monetary pledges amounted to more than $104 million. Charities have to go through an approval process before becoming part of the CFC. But in general, whether you decide to donate through CFC or in other ways, you can delve further into a particular organization’s finances, and how much of the donations generally go to directly support your cause. There are thousands of organizations that help troops, veterans and/or their families. But just because a group has “veteran” or “military” or a patriotic word in its title, it doesn’t mean the group is legitimate and funneling money to these causes. The Federal Trade Commission has been cracking down on sham veteran charities. Groups have a variety of missions, such as funding programs for military kids, or helping survivors of those who die on active duty. It’s best if you do the research to find the charity that best deserves your dollars, rather than simply agreeing to send money to an organization that solicits your money. You can also contact the charity directly, using the contact information provided in the CFC online giving portal. You can search for a CFC approved charity without logging in.